Our review: Pale gold in color, this wine has aromas of yellow delicious apples and peaches, with very slight citrus floral notes. Fruitful and ever so slightly sweet on the palate, a brisk acidity quickly develops that lasts into the finish, which is relatively brief and unremarkable. 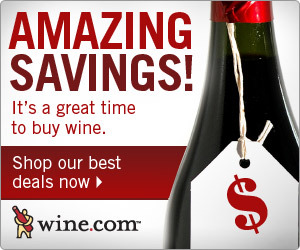 Our rating: We're generally fans of this label's line of relatively inexpensive wines, of which this is typical: pleasant, not necessarily memorable, but eminently drinkable. It's ideal for a light lunch, and certainly priced right (especially when on sale, which it often is). Enjoy with sandwiches, salads, or even popcorn while watching a favorite movie at home on TV. We rate it on the high side of Average. Taste profile from the winemaker: "It's refreshing, with aromas of ripe apples and lingering hints of pear. Enjoy with any light fare." 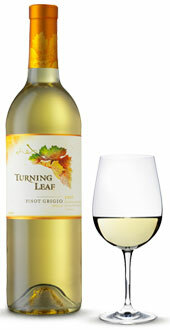 Winery website: Turning Leaf (E & J Gallo).